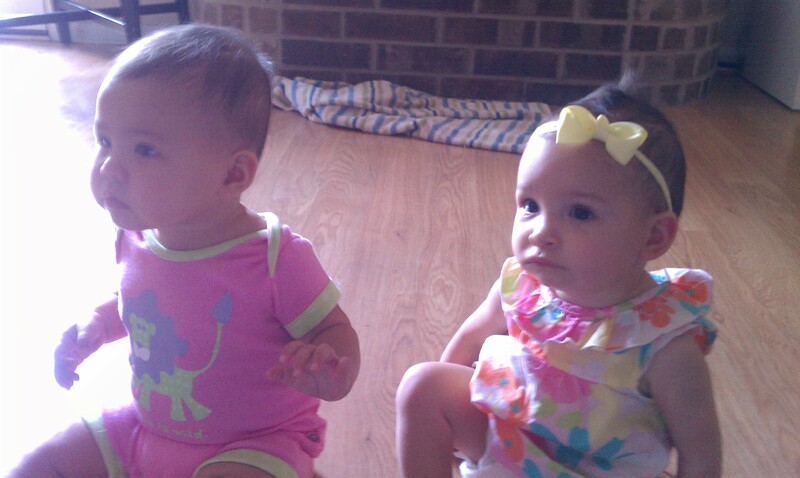 A few days ago, I got to see my cousin Anna Lynn! Though we don’t get together terribly often, our interactions are just getting more and more fun. She can move now, too, so next time we see each other we can go on lots of adventures together! I saw her twice over the past few days and, while both were good, I had a little more fun the second time. See, the first time I saw her and Auntie Natasha, I had just gotten off a plane. I didn’t take my normal naps that day and I was cranky and tired. We played together for a while but then Anna Lynn pushed me and I got sad and started to cry. Normally, I’m not so sensitive. If it had been a different day, I may not have even noticed. When our two families got together a few days later, we had more fun. 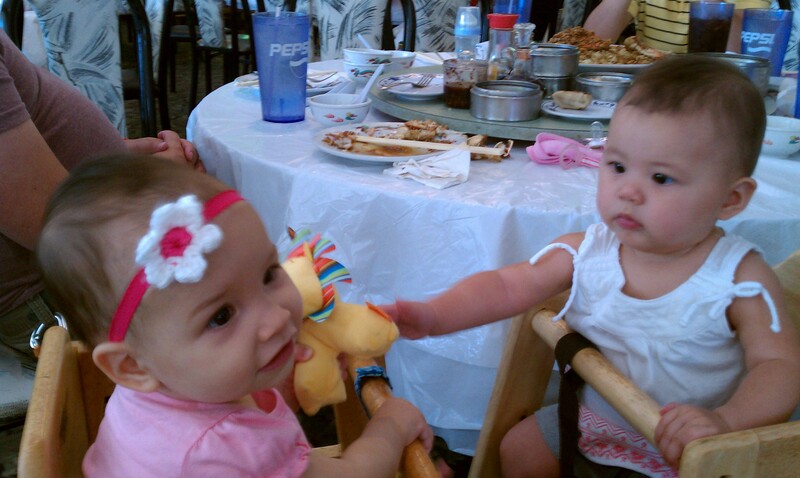 The ‘rents put us in highchairs next to each other so that we could see one another and play together. 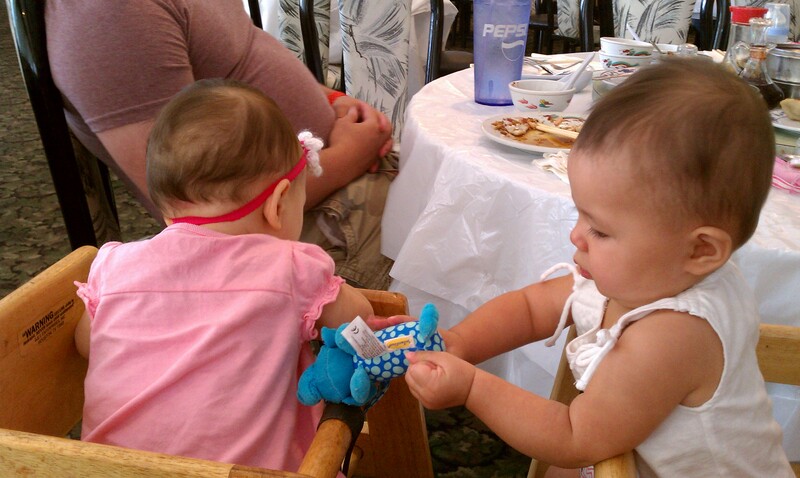 We “shared” toys and reached for each other… I think we were both kinda scopin’ each other out. We’re new to this socializing thing, ok? Soon we’ll be an unstoppable force of hapa cuteness! Auntie Amy’s computer is super slow, has difficulty seeing videos. This time I can see the pictues–and the two little pumpkins–how I wish I could see them both and give them a big big hug!